I’ve talked about this numerous times through the life of The Worlds Of Fred Rayworth. This will be the first time I’ve ever consolidated the entire story into one place at one time, solo, so to speak. If nothing else, it’ll be easier to locate on the net. I gave a brief response. No, actually, it was a bright and hazy, humid afternoon midway, between Adana and Incirlik (pronounced “Injure-lick”), Turkey in 1980. The four of us were temporarily housed in a roadside place called Mocamp. It consisted of single to two-bedroom units, sort of like a motel but spread out into individual duplexes with a central restaurant. 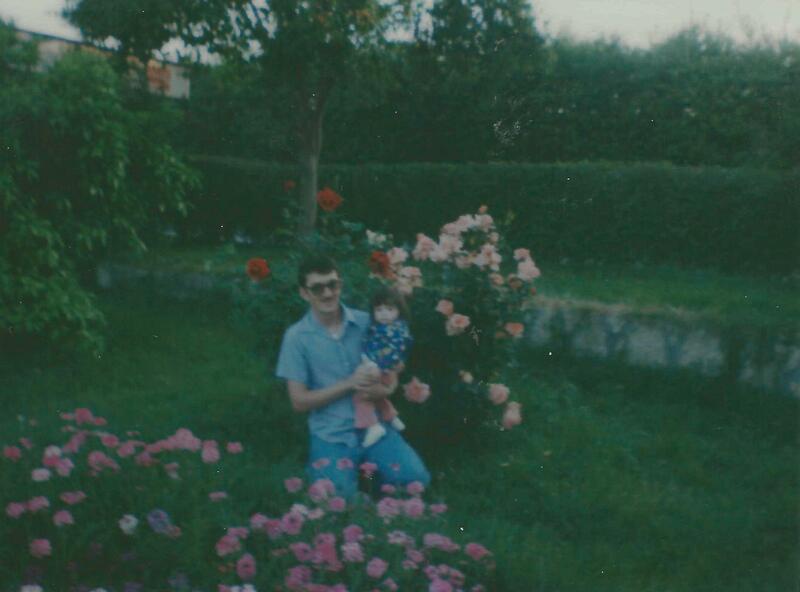 Set in a large compound with tended lawns and rose gardens, it wasn’t all that bad of a place for being in well…Turkey. All along the road, going both ways were farm fields and Gypsies with mules and horses piled high with branches full of firewood, the occasional camel caravan, cars, trucks galore, and other various buildings as well as power and phone lines. 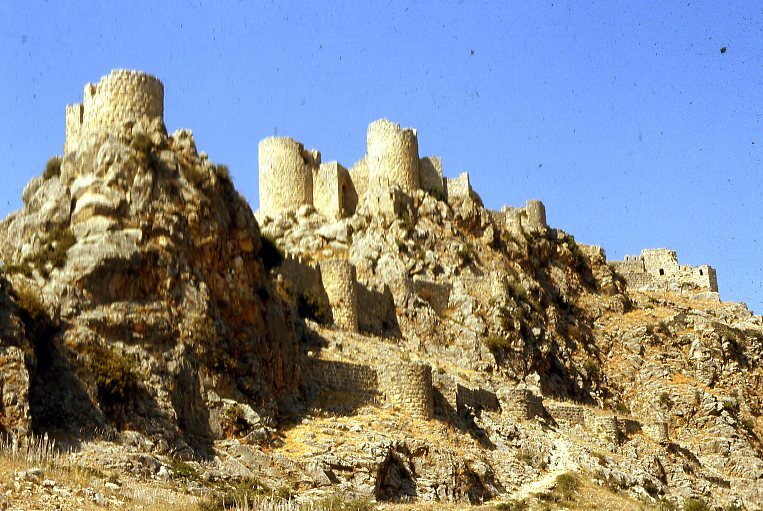 A little further down the road was a Russian built cement plant, spewing a constant haze of line dust and just past that, Yılankale, or as it is known locally, “Snake Castle.” This is a close-up shot of the back or south side of the castle. We stayed there because a few weeks before, early April, we arrived during the worst flood they’d had in the country for the past twenty or thirty years. The nearby Ceyhan River flooded (pronounced “Jay-han”), and the base power plant was underwater. The base only had temporary power. The on-base billeting we stayed in had no power and no water. We used trash cans outside under the rain gutters so we could catch enough water to flush the toilets. This lasted for about a week and a half until a bowling team came in from Germany, from Rhein-Main Air Base, or someplace. They kicked us out because they needed the space. It turned out to be a good thing. Mocamp not only had power, but water as well! We settled into the room, several days into our stay. My wife and I were watching a monster movie on TV, a tape we rented from the base video store. I forget which one, but it was a b-monster movie of some kind. Outside the screen door, within view, the babies, one four, the other one and a half, were playing in the grass by the rose garden next to the sidewalk. This is me with the one year old. Our oldest was prone to hysterics. Keeping the babies in the corner of our eye, all of a sudden, we heard this ear-piercing scream, like someone was killing the kids. We…I say we because we were both sitting there and could see both kids in full view…got up to go see what all the fuss was about. When we approached the babies, the older one was still screaming and pointing at little one. I looked over and the baby had an earthworm in her mouth. I took it away from her, wiped off her hands and my wife gave her a sippy cup or something and we went back inside. I didn’t take up writing for another decade, but every time we watched a monster movie, I thought of Mocamp and what older daughter said. When we went to the video store, or one came on TV (when we got back to the states), I usually called them “icky bug” and it just stuck. When I wrote my second novel, called The Greenhouse, guess what I called it. Instead of horror, I called it icky bug. Though I’ve had to ‘splain myself’ since, I never looked back. So, a long story…long…with visual aids…even a creepy castle included!